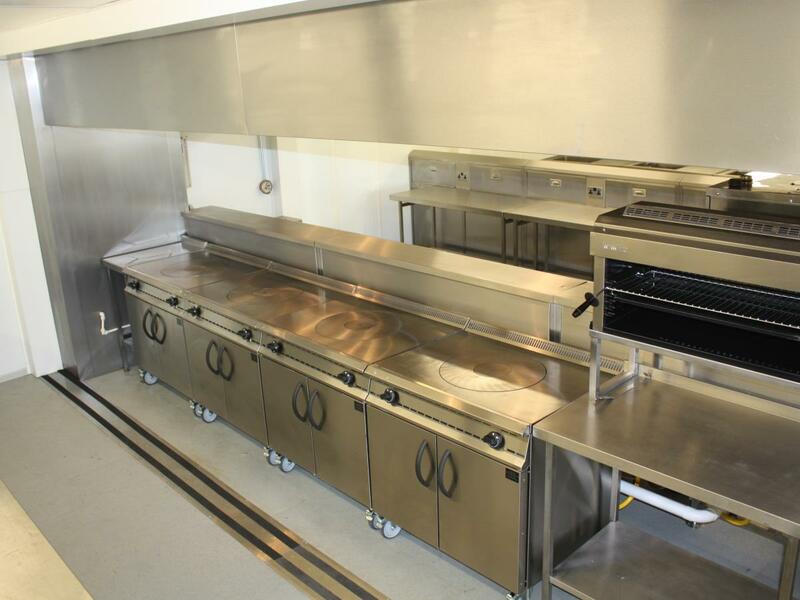 If your school, college or university kitchen is out of commission due to refurbishment, building extension work, fire or flood damage, On-Site Kitchen Rentals Ltd can supply a temporary kitchen solution, with or without dining facilities as required. 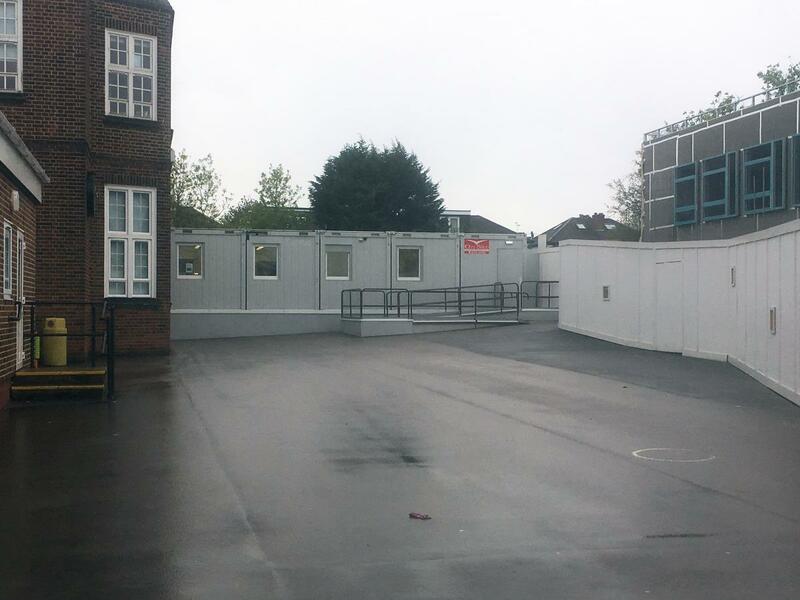 Our temporary school kitchens can be used to feed anything from a few dozen pupils up to thousands a day and are available on short, long term or rolling contracts. 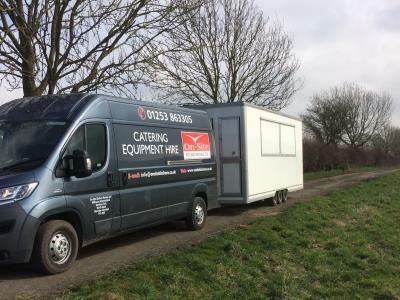 Whether work has been planned or your school kitchen is unexpectedly out of action, a temporary kitchen from On-Site Kitchen Rentals Ltd will give your catering staff everything they need to carry on as per usual. Only a basic electrical supply and mains water are necessary, with all the cooking equipment powered by bottled propane gas. 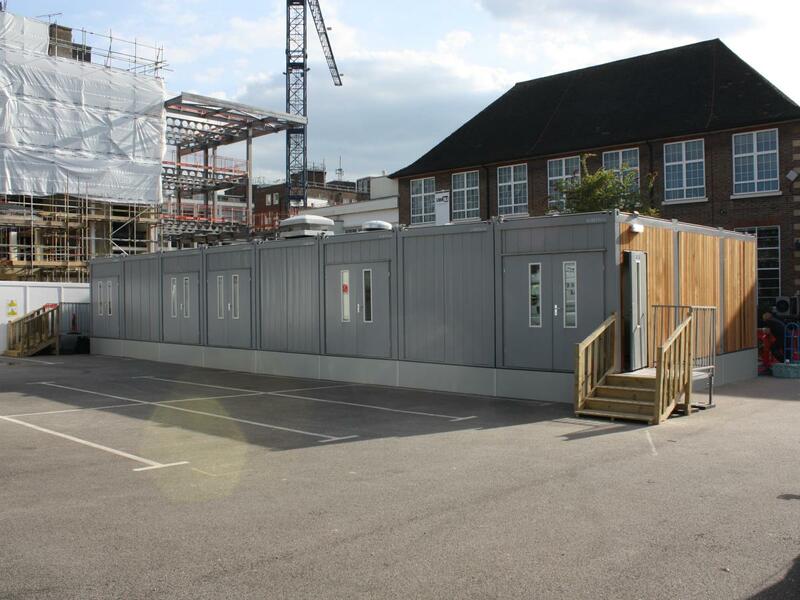 Our units are delivered to your school or college by truck and trailer, and are installed the same day by our own skilled engineers, thus offering you a complete solution with minimal disruption to your site. 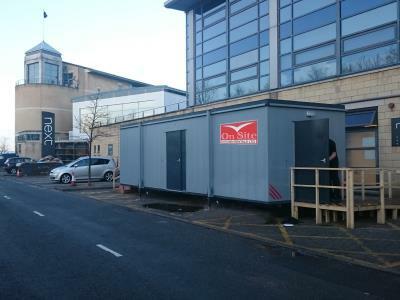 We have a number of temporary kitchen units available, which can be used for a wide range of catering needs from simple preparation of cold meals through to production of hot freshly cooked meals, along with dishwashing, dining and refrigeration facilities as required. 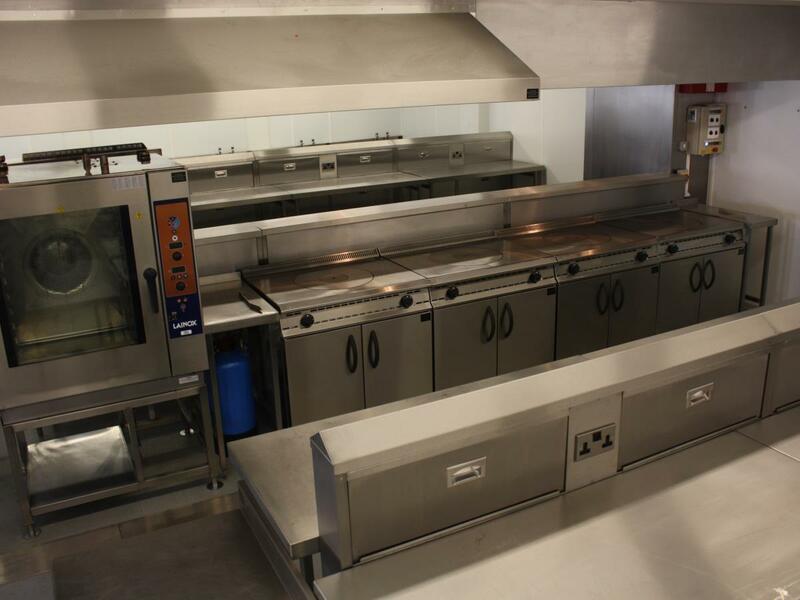 Each unit can be furnished specifically to suit your needs from our extensive range of catering equipment. 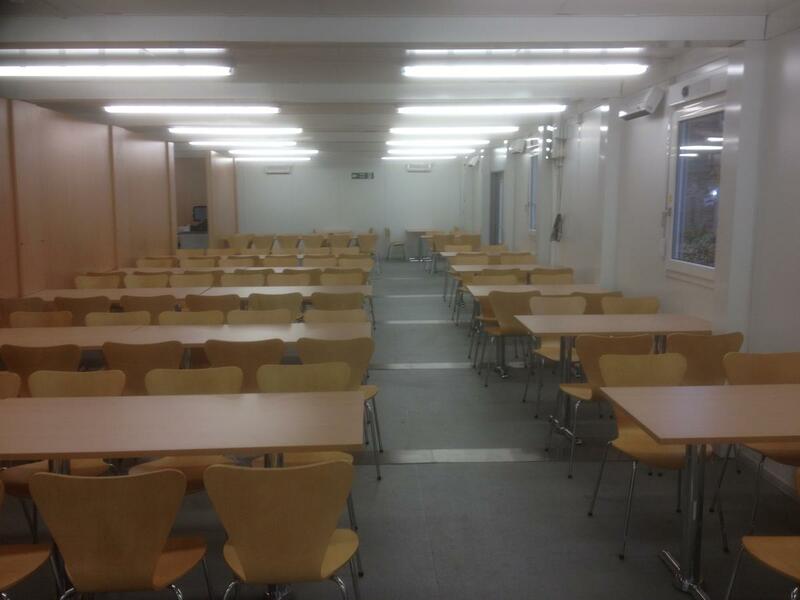 If you offer catering courses, we can provide training kitchens, either placed in one of our temporary units or your existing buildings. Long term leasing with weekly rates and a comprehensive contract covering all servicing and parts (excluding consumables) make this a credible alternative to ownership. 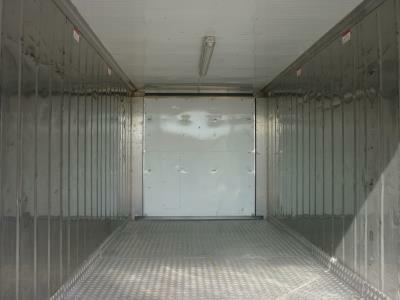 Looking for a tuck shop to place in your grounds? 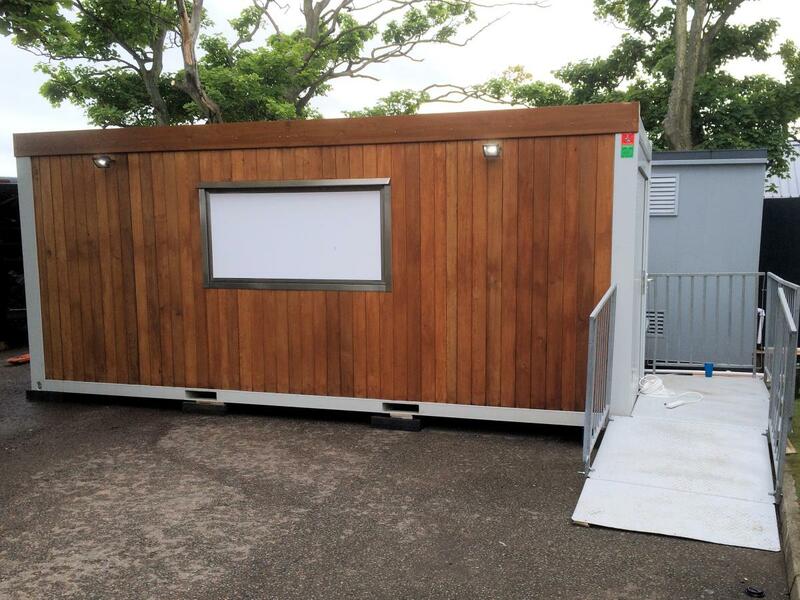 Our kiosk hire solutions offer an ideal retail space for takeaway food, snacks and hot drinks. Planning a large event such as a graduation ceremony and need substantial additional catering space? 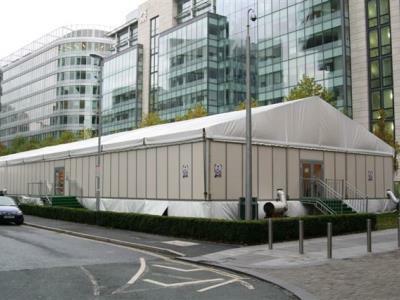 We can supply marquee kitchens offering kitchens and / or dining to cater for hundreds or thousands. 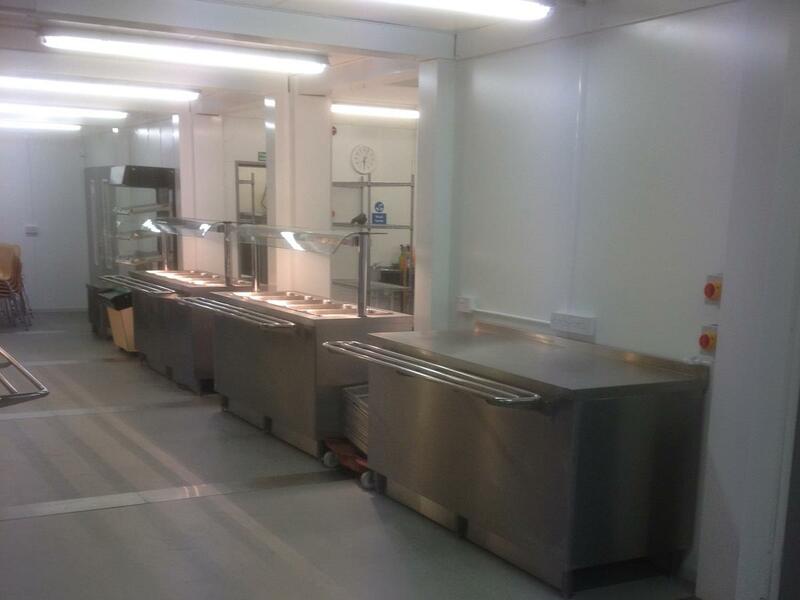 We were contacted by the Bursar of Rydal Penrhos School in Colwyn Bay to supply a kitchen capable of feeding 1,200 pupils, 3 meals a day. 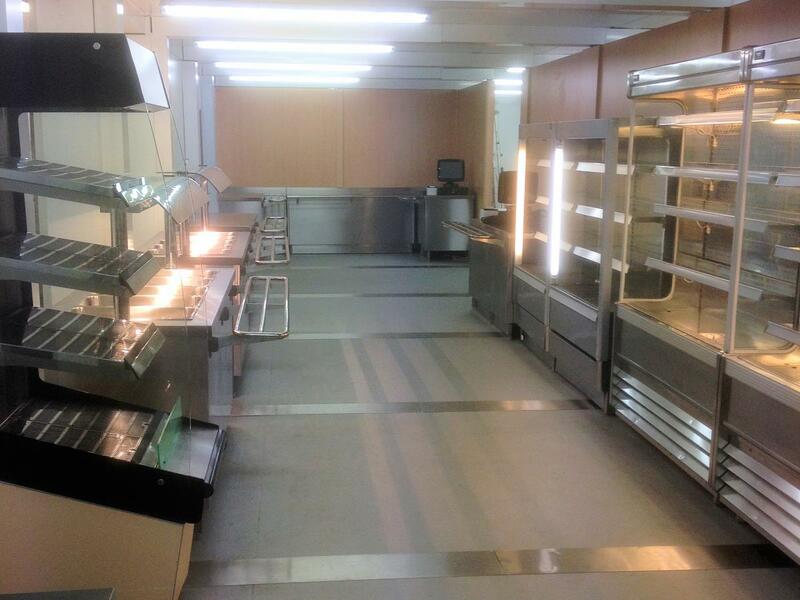 After the tendering process On-Site Kitchen Rentals Ltd were selected. 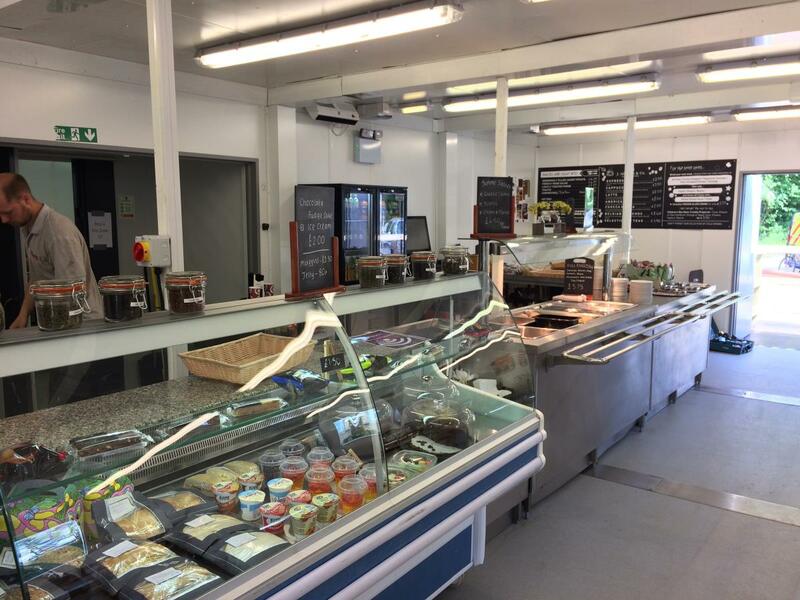 Our selection was based upon the time On-Site took to listen to our needs and deliver a bespoke solution, rather than just supplying a standard off-the-shelf kitchen. 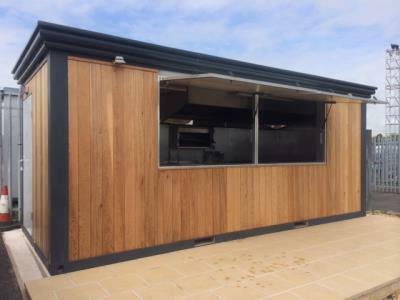 We supplied our modular system kitchen, which simply bolts together giving the client the ability to add extra modules should there be a need. 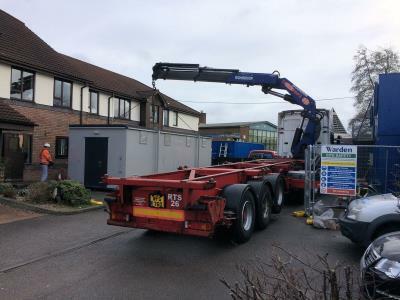 And in this case there was, as at short notice, we were also asked to supply dining rooms, an auxiliary store and office modules to complete the installation. 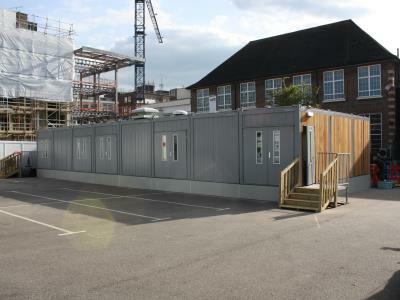 The temporary school kitchens, dining rooms and other units were in use for four years and proved a great success, with the client commenting that it was nice to see such an option in the kitchen hire world. For examples of our kitchens in action, take a look at the school, college & university kitchens within our case studies pages.